Yūya Ōsako the Japanese forward playing for German club Werder Bremen was praised after his sides narrow defeat to Bayern Munich at the weekend. The striker has been impressing in a struggling team this season after his move from FC Köln this summer. The Japanese forward is 28-years-old and has been playing in Germany since 2013 when he signed for 1860 Munich from J League side Kashima Antlers. In his final season in Japan, he scored 19 goals in 33 matches which sealed his move to Germany. Away from club football he as also picked up 37 caps for Japan scoring ten goals. While he played a role in all four of his countries games at the World Cup in the summer. This even included a World Cup goal in a 2-1 win over Colombia. Back to recent times, the player picked up his third goal of the season as his side lost 2-1 to Bayern Munich at the weekend. In this game he scored, a header to equalise for his club but this was proved to not be enough as the German superstars got back into the game. 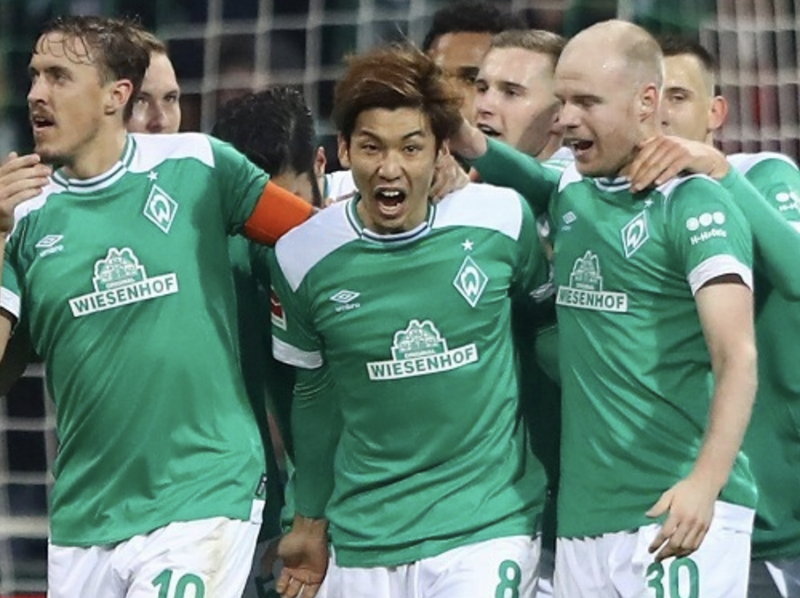 This defeat for Werder Bremen did mean that the club now has not won in five league matches after they had an impressive start to the season. The consensus around Germany seems to be however that the club need not worry and this is in part down to the impressive displays from Ōsako. The player from Japan clearly as high standards also as he said after the game "I regret not being able to win." He then went on to add on his goal "It was great that I could successfully take the space behind the defender and score thanks to a great cross that came from Max Kruse". Meanwhile, the player was playing slightly out of position in this game on the left side of the attack a position he said he enjoyed. It looks like despite the poor run the Japanese forward and his teammates are still full of confidence and on Friday evening (local time) will look to get their first win in six when they play Fortuna Düsseldorf at home.